RAKU means comfortable and joy in Japanese. 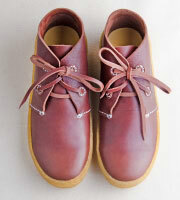 We think shoes are a kind of tool to enrich one's life. 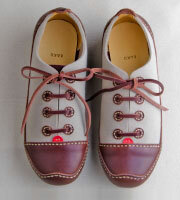 We try to make robust and walkable shoes that excite the heart. 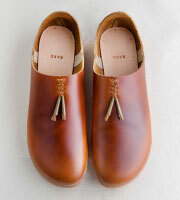 Our shoes are made with high quality vegetable tanned leather and natural material. 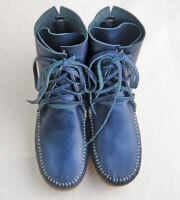 Production of each shoe is done with great respect to its material and the earth. It makes us happy if RAKU's creations become part of your comfortable life and bring a little bit of joy. I am Miki Nagamine, the founder of RAKU. 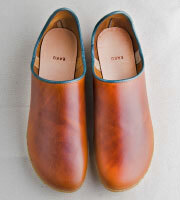 From 1998 I started to learn to make leather shoes at Moge Workshop in Tokyo. 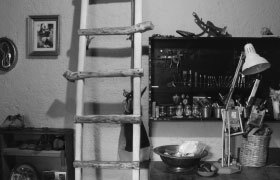 For several years I had made shoes for order, taught at a mocassin school, and worked as an advisor of products for 45rpm. After I decided to move to Mexico to realize my style of shoes. The following history is of my own but not alone, there was always someone helping me. Until now RAKU has grown. We will go slow but steadily. Thank you. 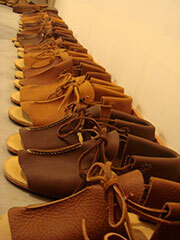 We exhibited sandals, Maya model, Gandhi model, and NASKA (still in production). 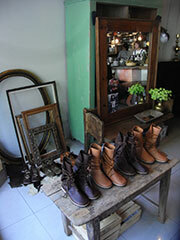 To show gratitude, I wanted to exhibit shoes in Mexico before they went on display in Japan. We made several models with one material and one color. This exhibition was done in joint with tane (Tamaki Hanzawa) and gomi (Victor). This was the first exhibition after I moved to Mexico. 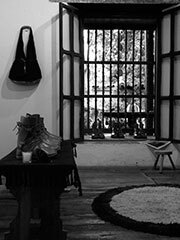 We displayed the same shoes at the second exhibition held in Mexico. The exhibition was done in joint with tane (Tamaki Hanzawa) and gomi (Victor). 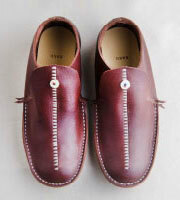 This time we had more option of leather and color. It was a little bit harder than the other exhibitions with my first baby. The exhibition was done in joint with tane (Tamaki Hanzawa). We displayed current models MAKAK, CHAPA, and MACHAPA. 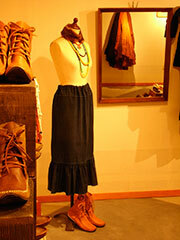 It was also the first exhibition of U2K (unika) which is a Mexican clothes project with Tamaki Hanzawa. This exhibition was done in joint with tane (Tamaki Hanzawa) and U2K. 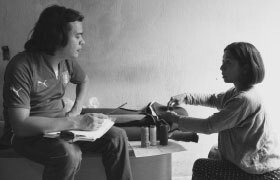 This was the first exhibition held in Mexico City. We displayed the same models as the fifth exhibition. We displayed a current model BOLI TENNIS for the first time and also some other models with textiles. RAKU's shoes are width EE. The wood pattern should be a bit longer than the actual foot length. The chart below indicates the foot length, foot width, and length of the wood pattern. 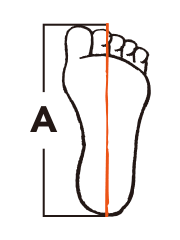 Please refer to our measuring method when selecting your shoes. 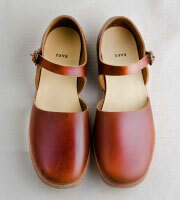 If your foot width is smaller than the shoe, look at the length of the wood pattern. When the length of the wood pattern is minimum 5mm larger than your actual foot length, it is possible to choose a size smaller. If your foot width is larger than the shoe, it is possible to either choose a size larger that fits your foot width or we could adjust the size. 1.On a sheet of copy paper or something thicker, draw a straight vertical line. Check sizes A, B, and C with RAKU's wood pattern size chart. 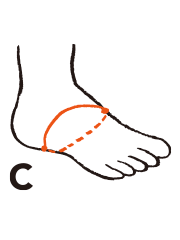 If the size difference of your foot width (B) and your instep height (C) is within 1 centimeter, RAKU's size chart should fit your shoe size.